U.S swimmer, Ryan Lochte has been handed a ten-month ban following the ‘Lochtegate’ scandal at the Rio 2016 Olympic games. The swimmer had claimed he was robbed at gunpoint while returning from the club alongside three members of the US swim team. His claim has since proved to be false as surveillance footage showed nothing of the sort happened. The implication of his action has been far reaching, as he has lost almost all his major endorsements. 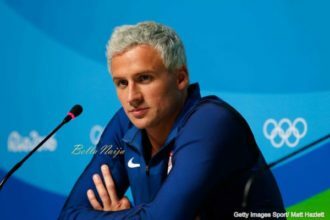 Lochte has reluctantly admitted he might have ‘exaggerated’ the claims but the United States Olympic Committee has said his behaviour was unacceptable. “As we have said previously, the behaviour of these athletes was not acceptable. It unfairly maligned our hosts and diverted attention away from the historic achievements of Team USA,” USOC chief Scott Blackmun said in a statement on Thursday. 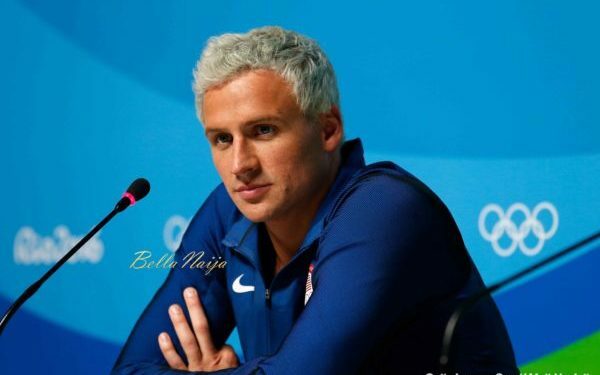 Lochte will also not receive any bonuses he was meant to receive from the USOC.